The University of Texas Southwestern Medical Center, Department of Surgery, Division of Transplant Surgery, is currently recruiting for a faculty member. Appointment rank will be commensurate with academic accomplishments and experience. Applicant must be Board Certified in General Surgery, have completed a Transplant Surgery Fellowship, and be eligible for a Texas Medical License. Successful candidates will be committed to patient care, resident, fellow and medical student education and scholarly activity that advances clinical medicine. Candidates will be expected to participate in the clinical practice and teaching programs at Clements University Hospital, Parkland Memorial Hospital and Children’s Health. Educational responsibilities include the clinical training of transplant fellows and general surgery residents. A commitment to basic or clinical research is essential. UT Southwestern ranks among the top academic medical centers in the world. Our distinguished faculty includes active Nobel Prize winners. Nearly 4,200 medical, graduate and allied health students, residents and postdoctoral fellows are trained each year. Our physicians provide care to patients at UT Southwestern University Hospitals and Clinics as well as three other affiliated hospitals. The Dallas area boasts a low cost of living with diverse neighborhoods and great schools. 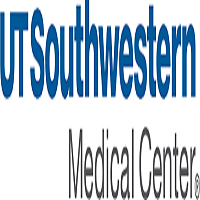 The area has world class quality of life options, with more than 175 museums and art galleries, premier performance halls, numerous parks, lakes, golf courses and seven professional sport franchises.UT Southwestern Medical Center is an Affirmative Action/Equal Opportunity Employer. Women, minorities, veterans and individuals with disabilities are encouraged to apply.